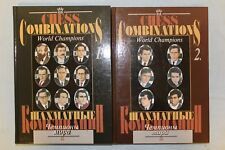 Ten hardcover Fred Reinfeld chess books. Winning Chess, Chernev and Reinfeld. The Chess Masters on Winning Chess, 1960. Chess for Amateurs, 1954 revised reprint. Creative Chess, with dust jacket. 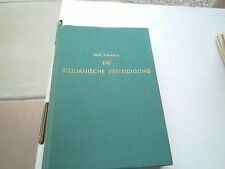 New ListingVintage Allan Troy Chess Book-AT#3-German HARDBACK-Sicilian Defense. The book was published in Moscow, USSR ,1964. Hardcover, 650 pages. Text and chess notation Russian. Very interesting book ! 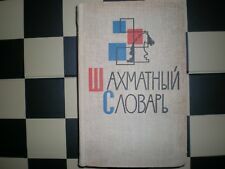 There is the chess book written by C.Guliev and L.Guliev. Hardcover , 170 pages. 230 positions to solve ( tactical and strategical ) in 42 pages ,and 166 pages to explain solutions with diagrams ! These are East German Sportverlag books. These books are in VERY good condition. Our next big sale starts July 27th! For its age, 1957, this book is in excellent shape. There is no writing or ripped pages & binding is strong. Carl Portman is the English Chess Federation’s Manager of Chess in Prisons. In 2015 he was awarded the ECF President’s award for services to chess. After all, the prison community knows that there is a dream behind every door. Vintage Allan Troy Chess Book-AT#10--TWEFLTH EDITION OF MCO! R.C. Griffith and J.H. White issued the first Modern Chess Openings in 1911. This is the twelfth edition issued in 1982, printed in Great Britain, and revised by Walter Korn, who held the reigns until the 1980's. The book is a bit beat up, and is for reading, not collecting. Descriptive notation. Our ongoing sale features books and clocks from the 21st, 20th, 19th and 18th centuries! Accept no substitutes! By Arthur Bisguier & Andrew Soltis. This book is from my father's collection who had a life-long love for chess. Pages are clean with tight binding and I do not see any writing on any page. This collectible would make a proud addition to any collection. Hilda Tillquist, Lars Walstedt. Yllevavar: Schalar, Planar, Filtar, Tyger, (Shawls, Flattens, Blankets, Fabrics) Konstvavar. Book cover shows moderate wear around the edges, light scuff wear and a strongly toned spine cloth. We have an ongoing sale of 18th, 19th, and 20th, and 21st century chess books,sets, and clocks! Accept no substitutes! By Irving Chernev. Practical Chess Endings. 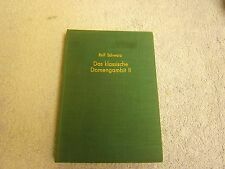 It is an East German Sportverlag book. Our next big sale starts July 27th! Paul Motwani, Scotland's first grandmaster, wrote this book for neighborhood champions and weekend warriors. Other people are using our goods to make sales. Accept no substitutes! 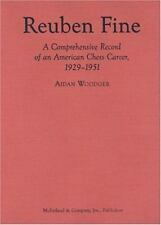 A useful book for chess historians, as it is a survey of the top-flight chess for 1994. Other people are using our goods to make sales. Accept no substitutes! NIMZOVICH, The Hypermodern. by:Fred Reinfeld. Wizards of the Chessboard: Book II. 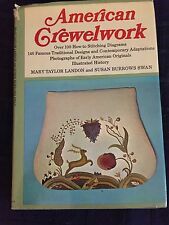 Text in nice clean condition; deep insightful and instructional reading! A rare hard-to-find copy! Fred Reinfeld was a friend to every chess player. Worth every penny. Other people are using our goods to make sales. Accept no substitutes! Published by Octopus Books Limited. Rare Russian chess book "How to win in chess .Secrets from great Grandmasters"
This book was published in Rostov, Russia, 2018. Hardcover, 221 pages. Author GM A.Bezgodov. Very interesting and instructive book ! Author: Allen Levy. Title: A Century of Model Trains 1870-1970. This book was published in Moscow, Russia, 2009. Hardcover, 186 pages. Authors, GM A.Volokitin and his coach IM V.Grabinsky. 3 chapters. First chapter " Make the move " -, improving intuition and creativity. 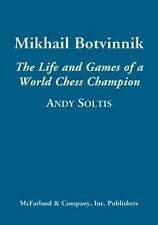 Andrew Soltis is not only a grandmaster and author, he receives our highest praise--he is a friend to chess players. Competitive chess is about analysis, done without moving the pieces. Softcover; Algebraic notation. Illustrated 16 Page Color Portfolio with More Than 900 How to Photographs 33 Photographs in Full Color. Brown Hardcover with Gold Gilted Lettered Spine in Jacket Tightly Bound. The first edition is 1889, and this is about 1892. This hardcover book has the dustjacket that has some wear. Please see photos of the actual book you will be buying. Good, low wear hardcover without jacket but clean and unmarked. This book is from my father's collection who had a life-long love for chess. Pages are intact with tight binding and I do not see any writing on any page. This collectible would make a proud addition to any collection. By T. D. Harding and G. S. Botterill. pencil marginalia on 19 pages, yellow highlighting on 18 pages, ink marginalia on 4 pages. One of the best ways to improve is to study chess problems that illustrate chess tactics. 6,634 problems, lots of diagrams. We have an ongoing sale of 18th, 19th, and 20th, and 21st century chess books,sets, and clocks! It was published in 1913. All pages are intact. inside front cover. Written price inside rear cover. Other people are using our goods to make sales. Accept no substitutes! 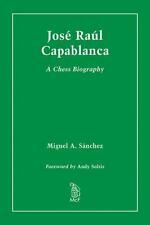 Abstract of 12 lectures that were given before an audience of London chess players in the Spiring of 1895. Bill, aka Bimple. A 5th hard cover printing from G. Bell & Sons in good-very good condition with no marks, 282 pages with index, illustrations. Bill, aka Bimple. 1978 Vintage Russian USSR Soviet Chess Book Mikhail Tal Into the fire attack.